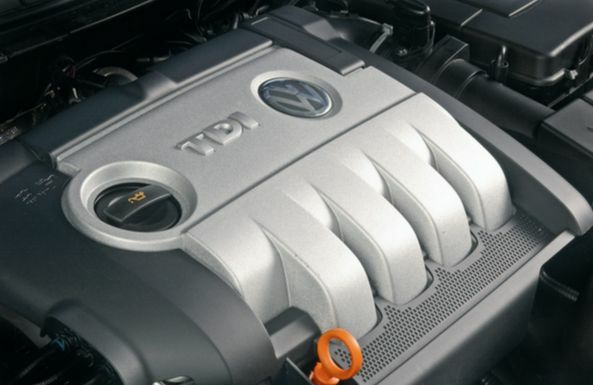 VW settles criminal charges: Volkswagen’s guilty plea to three felonies in March resulted in the automaker being sentenced Friday to pay $4.3 billion in fines for importing 59,000 polluting diesel vehicles into the U.S. beginning in 2009. The charges were for conspiracy, obstruction of justice, and introducing imported merchandise into the U.S. by means of false statements. Without the plea deal, VW would have faced potential criminal fines in the cases of between $17 billion and $34 billion. In a federal courtroom in Detroit, U.S. District Judge Sean Cox called VW’s actions a “deliberate, massive fraud perpetrated by VW management. We don’t know how far up the corporate ladder it goes. Hopefully, the DOJ, and more hopefully, the German government, will continue to investigate and prosecute” those responsible. That ends prosecution by the federal government, but buybacks aren’t yet completed and civil suits continue in the U.S.; criminal investigations continue in other countries, including Germany. Speeding up Model 3 production: Tesla will begin volume production of the Model 3 in September by streamlining the tooling process, which runs the risk of facing recalls or warranty repairs. On an investor conference call last month, CEO Elon Musk said the company would skip the usual auto manufacturing procedure, which he called “beta,” to speed up production. Musk said he would instead use “advanced analytical techniques,” which are computer simulations, to speed up the process. Automakers usually test a cheaper prototype model to make sure parts and components fit correctly, adding time and cost to the process but also guaranteeing a higher level of vehicle reliability. Musk has promised to ramp up vehicle production fivefold next year, producing and selling 500,000 vehicles a year by 2018 as the Model 3 enters the market. More Pacifica plug-ins going to Waymo: Fiat Chrysler Automobiles is providing another 500 Chrysler Pacifica plug-in hybrid minvans to Waymo’s self-driving vehicle test project. Last year, FCA delivered 100 of these vehicles that Waymo that both companies equipped with its autonomous technology. Waymo had worked with FCA engineers at a Michigan facility to modify the vehicle’s with the technology. Waymo is also planning on opening up test rides to the public, starting in Phoenix. Amazon goes autonomous: Amazon is entering the autonomous technology sector by testing out applications to make its product deliveries become faster and more convenient for customers. Details aren’t coming out yet on what the team of a dozen employees is working on but it could be an autonomous fleet of delivery trucks. The internet giant is interested in autonomous trucking for its own deliveries and possibly to sell transport services to other companies such as UPS and FedEx. In January, the company secured a patent for a network that helps autonomous vehicles adjust in changing driving environments. AAA study on EV interest: A new AAA study found that 30 million Americans say they’re likely to buy an electric vehicle, with members of the Millennial generation especially interested with 20% wanting to go that route. But the study also found that the interest level hasn’t yet turned into EV sales for most of them. AAA said that concerns include range anxiety, lack of charging stations, and running out of battery power before the end of their drive. Low ownership costs and emerging technologies will improve their sales in the future, according to AAA. EV Roadmap in Portland: EV Roadmap 10 invites participants to “test drive the future,” learning from industry leaders as well as the leading communities and regional markets. 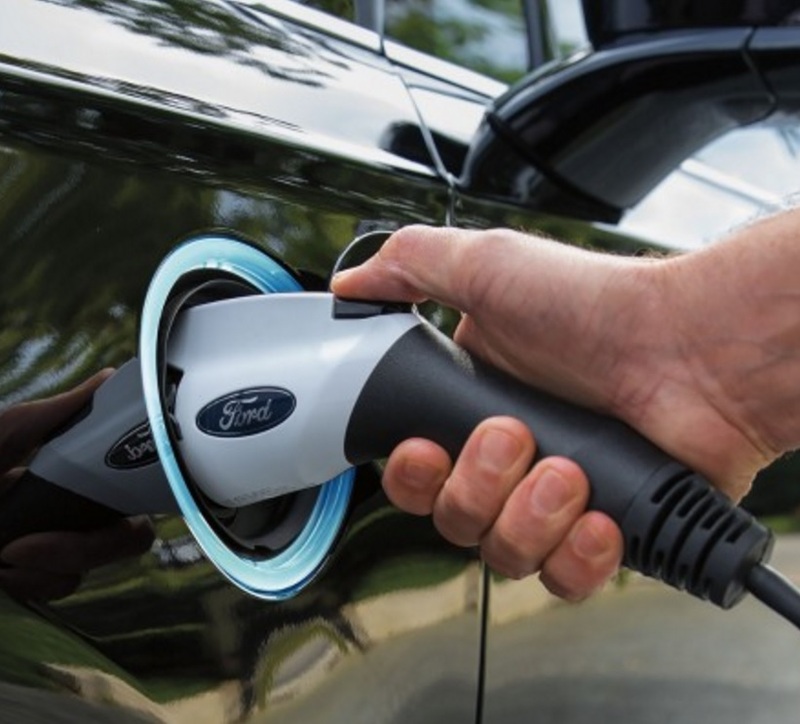 The conference will be held June 20-21 in Portland, Ore., and will be organized around three tracks: Cars, focusing on the accelerating adoption of electric cars and other EVs. Charging infrastructure, which is evolving quickly to meet the needs of millions of new electric vehicle drivers. Community will focus on the broader “ecosystem” needed for the market to expand. Sessions will include an in-depth discussion of the Electrify America plan, programs designed to bring electric mobility benefits to underserved communities, and analysis of how electric vehicle adoption can lower electricity rates. You can register for the event online. Next Generation Mobility Challenge: Toyota and Net Impact announced three finalist groups for the Next Generation Mobility Challenge, which focuses on developing solutions for critical mobility needs in local communities around the world. The winning team will be announced in early summer, and finalists were named to the list based on project design, feasibility, and social impact. The finalists are: “The Hub” – a carpooling concept based in school communities that would be more efficient than public transit and allow commuting parents to spend more time with their families, featuring students from California College of the Arts and UC Berkeley; “Project Mobius” – a company-sponsored employee transportation system for low-income individuals to help them acquire and retain jobs while boosting employee loyalty and reducing environmental impact, featuring students from University of Colorado; and “Para Pickup” – a service that gives people with disabilities safe, affordable and flexible ways to get home, improving on current options which can be inflexible and slow, featuring students from Georgia Tech. Fuel cell truck test: Toyota announced “Project Portal,” a hydrogen fuel cell system designed for heavy duty truck use at the Port of Los Angeles. The zero-emission truck proof of concept will take part in a feasibility study examining the potential of fuel cell technology in heavy duty applications. The study will begin this summer and contribute to the Port’s Clean Air Action Plan, which has dramatically reduced harmful emissions from operations at the Ports of Long Beach and Los Angeles since 2005. Propane autogas in Europe: European Alternative Fuels Observatory (EAFO) published a special edition of its report on the role propane autogas vehicles have played in the region in recent years. It’s the most widely used alternative fuel in Europe now with more than 12 million passenger vehicles placed in fleets as of 2015. Turkey has 35% of these vehicles with over four million vehicles. Italy and Poland join Turkey in being the only countries with over one million propane-powered passenger vehicles on their roads. Turkey also has the largest number of propane fueling sites, with over 10,000 stations. Germany has the second highest number of propane autogas stations despite having only the fourth largest propane-powered fleet in the region. Auto Shanghai 2017 has been full of “new energy vehicle” announcements for the Chinese market from major and startup automakers. General Motors has plans to launch 10 all-electric and plug-in hybrid models by 2020. Ford, Volkswagen, and Nissan, all have aggressive plans for the market. Chinese startup NextEV displayed 11 vehicle concepts from its all-electric NIO brand. Behind all of it is the top global market for plug-in electrified vehicle sales and proposed government mandates for increasing those sales. China is interested in following California’s zero emission vehicle (ZEV) structure mandating an even higher percentage of sales to hit these targets with a credit trading scheme backing it up. But how realistic is it for China to meet its mandates – and for California? 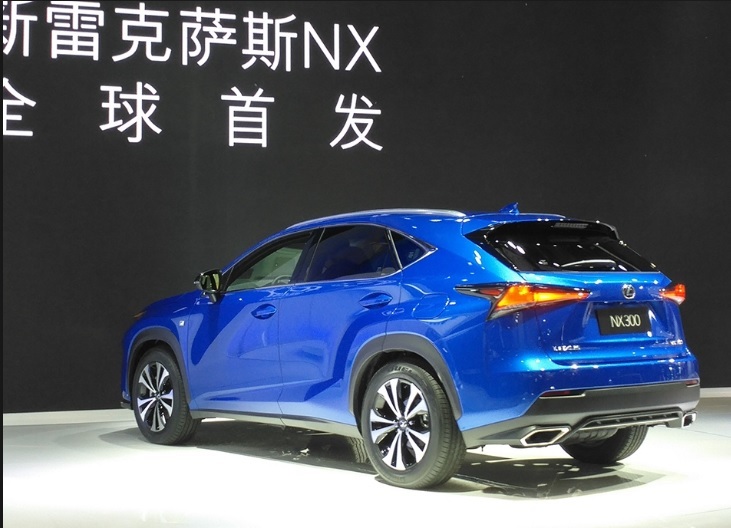 China’s Ministry of Industry and Information Technology proposed last fall that ZEVs represent 8% of new vehicle sales as soon as 2018, and that would go up to 12% by 2020. Included in those numbers would be all-electric, plug-in hybrid, and fuel cell vehicles covering light, medium, and heavy duty vehicles. That includes all new cars, trucks, and buses sold in the country. Companies that fail to meet the 8% requirement would face fines or have to buy credits from those that exceeded the minimum. That percentage score comes from weighted averages assigned to various zero- and low-emission vehicles. As in California, automakers that fail to meet the requirement face fines or have to buy credits from those that exceeded the minimum. Average production of new energy vehicles last year may have contributed only about 3% of the score required, 5 percentage points short of the proposed 2018 target, according to the China Association of Automobile Manufacturers. During 2016, there were about 507,000 new energy vehicles sold in China. As for total new vehicles sold in the country, there were about 28.03 million sold. As for the percentage of sales, NEVs accounted for about 1.8% of new vehicles sold; the government’s weighted averages brought it up to 3% in the scoring system. China is considering blocking or delaying these proposed measures after industry feedback concluded that the targets are overly ambitious. It may be finalized by May or June, according to a government official. Automakers are backing China’s goals, but are feeling a lot of anxiety about getting anywhere near close to selling 8% of total sales as ZEVs by 2018 – even if credit trading and a flexible point system helps ease the burden. For those consumers and fleets making vehicle purchases in China, large sedans and SUVs are quite attractive. Many of these consumers are experiencing their first-ever high incomes, and are supporting China’s economic growth by spending a lot of it on vehicles, housing, mobile devices, entertainment, travel, and personal investments. For now, buying vehicles that consume a lot of fossil fuel is just fine with car shoppers. A clear example of this is that first quarter 2017 SUV sales soared 21% from a year earlier to 2.4 million in China, while electric vehicle purchases declined 4.4% to just 55,929, reports Associated Press. Incentives were down on NEVs after the first of the year, which was thought to have an impact on NEV sales. If the current rate continues, it could finish the year below last year’s 507,000 plug-in vehicles sold. Last year, California saw 62,166 plug-in electrified vehicles sold. Overall, the state had 2.1 million in new vehicle sales, with PEVs making up about 2.96% of total sales. California Governor Jerry Brown’s ZEV goal is for the state to have 1.5 million ZEVs on its roads by 2025. That means about 15% of new vehicle purchases will need by to be ZEVs by 2025, or about 12% of sales higher than where it is now. Commercial vehicles, such as medium- and heavy duty trucks, vans, and buses, are included in California’s ZEV sales data, similar to China. Both governments also include hydrogen fuel cell vehicles in those totals. Those sales volumes are quite small, but California is still leading the way on fuel cell vehicles and fueling stations. China has yet to see any fuel cell vehicle sales, though Toyota and other automakers plan to enter that fuel cell market. China’s national government has been cracking down on vehicle manufacturers committing fraud in their NEV production and sales numbers to tap into generous government subsidies. That’s always been a concern for advocates of emission reduction targets around the world – that subsidies could be a scam and that credit trading can water down the end goals of the mandates. China and the European Union are expected to keep strict mandates in place for the sale of ZEVs in those markets. The U.S. is expected to soften fuel economy and emissions rules under the Trump administration, though some analysts expect that consumers and fleets will increase demand in fuel efficient vehicles and that the nation’s current level of about 1% of new vehicle sales going to PEVs will be seeing an increase soon. Staying with subsidies including low-interest loans and rebates to vehicle manufacturers, and rebates and tax incentives available to consumers and fleets. These will need to be supported by cash-back incentives and finance programs from OEMs sometimes tied to dealer programs. Continuing to bring down acquisition cost by making the battery packs and electric drives more affordable and cost competitive. Increasing the range of all-electric, plug-in hybrid, and fuel cell vehicles. Speeding up charging time through faster charges and an infrastructure spreading through workplaces, public chargers, homes, and multi-unit dwellings. Wireless charging is also raising hopes for wide adoption of PEVs. Adding more hydrogen fueling stations. Seeing more diversified and attractive offerings in plug-in and fuel cell vehicle launches for both passenger and commercial vehicles. Globalizing new vehicle launches for efficiency and sales growth – with variations built in by automakers based on government regulations, left- or right-side steering wheels and pedals, types of electric outlets in each country, and consumer and fleet expectations. Public awareness and education programs tied to larger greenhouse gas emissions reduction targets including ride and drive events, public chargers and hydrogen stations, and powering PEVs and fuel cell vehicles through renewable energy sources. EPA lab fees: The White House would like to see automakers pay for testing in the Environmental Protection Agency’s emissions testing lab. The Trump administration is proposing a $48 million budget cut that would close down the lab and cut 168 jobs. It would mean “pretty much shutting down the testing lab,” said Margo Oge, who led the EPA’s Office of Transportation and Air Quality under the Obama administration. Funding would come in by increasing fees that automakers and engine manufacturers would be required to pay for testing. Cap-and-trade protected for now: California’s cap-and-trade system was solidified by a state court – at least until 2020. The state program allows companies to purchase carbon credits through an auction or a secondary market and has produced millions of dollars in funding programs for clean transportation and fuels. A state appeals court has found that it’s not an illegal tax due to voluntary participation and the purchase of something with value, which keeps it from being a tax, according to the ruling. The program will stay in place through 2020 before becoming vulnerable to legal challenges. Since its launch in 2012, California has taken in about $4.4 billion on auction proceeds to be spent on clean energy, low-carbon transportation, and other programs supporting reductions in greenhouse gas emissions. 4 in I.D. lineup: According to Volkswagen design chief Klaus Bischoff, the fourth I.D. all-electric vehicle, a concept sedan, will be revealed at the Frankfurt Motor Show in September. It won’t be revealed before then, but it got a lot of “wows” from VW colleagues when they saw it for the first time, he said. That’s the fourth in the I.D. series to be built on the new MEB modular electric platform. The I.D. hatchback compact concept, unveiled in September at the Paris auto show, was the first and is scheduled for production in 2020. The I.D. Buzz microbus concept was revealed in January at the Detroit auto show, and the automaker will be showing the third one, an I.D. SUV concept, soon at the Shanghai Motor Show. The company recently told analysts that the I.D. concept hatchback is expected to have its design approved this August for a 2020 launch. Hybrid police car: Ford is rolling out the first hybrid police car, which was designed to meet certification standards law enforcement agencies require to meet their full pursuit ratings. The Police Responder Hybrid Sedan is being built on the Fusion Hybrid. The automaker designed the pursuit vehicle for agencies to cut fuel costs and decrease emissions while driving and idling. Ford received an EPA-estimated mpg of 38 combined city and highway, more than double that of the Ford Police Interceptor with its 3.7-liter, V6 engine and 18 mpg combined EPA rating. The police departments in Los Angeles and New York City will be taking deliveries this summer. AutoDrive Challenge: General Motors is sponsoring AutoDrive Challenge, a university competition with SAE International in autonomous vehicles. At SAE World Congress Experience in Detroit, they announced these universities will be demonstrating automated Chevy Bolts during a three-year challenge. Kettering University, Michigan State University, Michigan Tech, North Carolina A&T University, Texas A&M University, University of Toronto, University of Waterloo, and Virginia Tech are now competing. GM and SAE have been heavily involved in student competitions for advanced vehicle technology for years. Formula SAE race car design competition started in 1980, and GM is now sponsoring EcoCar 3 with the U.S. Department of Energy. TurboDock chargers: AeroVironment Inc. announced today that Hartsfield-Jackson Atlanta International Airport will install 102 of its TurboDock EV charging stations in the airport’s parking structures. Packed with features specifically designed to make it ideal for airports, including modular charging configurations, 120V capability and mobile app based access control, TurboDock helps EV drivers proceed with certainty, the company said. The installation is the most recent effort by the City of Atlanta and the Hartsfield-Jackson Atlanta International Airport to turn ATL into one of the greenest airports in the world. March EV sales: Tesla took No. 1 and No. 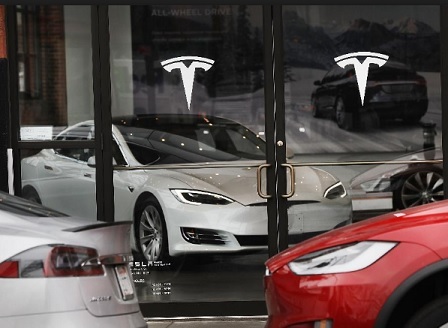 2 in U.S. electric vehicles sales, with about 3,100 and 2,500 units sold, respectively. The Chevy Volt came in third with 2,132 units sold and has been the top performing plug-in hybrid in U.S. sales through the first quarter. The Prius Prime was fourth on the list with 1,618 units sold. ACT Expo autonomous vehicle panel: “The Future of Intelligent Transportation: Connected & Autonomous Vehicles” will be one of the speaker panels at the upcoming Advanced Clean Transportation Expo (ACT Expo 2017). Attendees can learn more about the latest advancements in innovative vehicle technologies that are disrupting the way vehicles interact with other vehicles, the environment around them, and drivers. 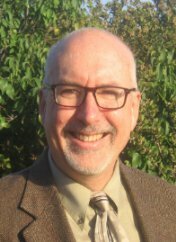 Featured speakers include Mike Roeth, North American Council for Freight Efficiency, an industry leader who understands the phases of truck automation and the expected ROI; Bill Burns, City of Columbus, Ohio, who played an integral role in combining electric and automated technology to win DOT’s Smart City Challenge; and Joanna Wadsworth, City of Las Vegas on launching the first electric autonomous shuttle on U.S. public roads. For further details on vehicle displays at the conference, you can view the vehicles list. ZEV mandate not going away: Read all about Plug In America’s history, along with the film “Who Killed the Electric Car?”, that goes back to 2003 and the California Air Resources Board’s controversial decision to become heavily influenced by pressure from automakers and scale back the zero emissions mandate. Times have changed, with CARB unanimously deciding to stay with the ZEV program as planned without any changes through 2025.